Four years ago, Carlene Adams made a deadly mistake. A tragic accident derailed the future she'd hoped for, taking the life of the man she'd planned to spend forever with.As a self-imposed penance for her solitary sin, Carlene has given up on every dream she ever had. 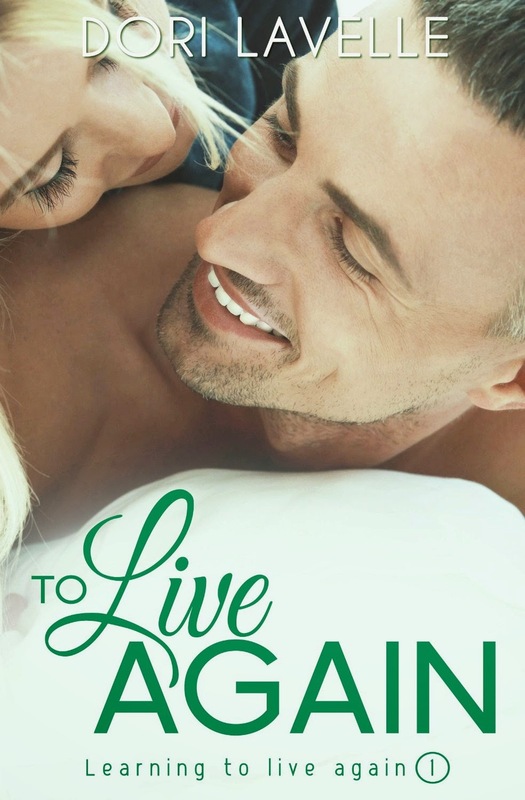 She has committed to spend every remaining moment trying to make up for that one instance when everything changed.Then she gets a second chance.When Carlene meets Nick Johnson, the single kiss they share awakens the desires she shoved aside for so long. Suddenly she wants more than what she believe she deserves. Will she ever see him again?A thing of fate.Leaving the life she built on regret, Carlene waits for fate to intervene. But just as she begins to believe in a fresh start, she's forced to realize a horrible truth—one with the power to send her second chance crashing before it even takes off.Nick isn't who she thought he was. She isn't the girl he believed her to be, either. Their lives were intertwined even before they met, and if Carlene tells him the truth, she’ll risk tearing them apart—for good. Carlene Adams' new life has been an illusion, her newfound joy just for rent. The life she craves can't really belong to a girl who is responsible for someone's death.Her greatest fear has been realized. Nick Johnson, her second chance at love, has discovered her true identity and disappeared from her life.She will need to find a way to move on without Nick. But the memories of their time together haunt her relentlessly. As Serendipity's Businessman of the Year, his face is everywhere—in magazines, on the television screen, and behind her eyelids. Soon, rumors about her past cause her life to spin out of control, and she finds herself even further from her dreams.But Carlene is good at hiding from the past. She's done it once before. She can do it again. She can leave her hometown and begin again somewhere new. But she can't move on without telling Nick the truth about the life he thinks she took, and everything that came before. Six years ago, Melisa Bergfeld’s husband died. As the grief of losing him tore into her, she lost his last gift to her—their unborn child—and her hopes and dreams turned to ashes.Left with a life she no longer wants, she seeks salvation in a homeless shelter. For a while, that’s more than enough.But when a fire breaks out, in walks the man who will try to save her life—if she’ll let him.Florian “Heat” Dane has left behind a trail of broken hearts in his wake, including pieces of his own. For all the girls he’s used to fill the hole in his heart, there has been just one he could never erase from his memories. But when Melisa married his best friend Scott Bergfeld, he knew she would never be his the way she’d been the one unforgettable night they spent together. Now that she’s back in his life, he will do anything to recapture her heart, even if it means giving away his own.Heat still has the power to ignite passion in Melisa, something she both desires and rejects. "Sometimes in life you have to make things happen yourself." Book 1 and Book 2 are about Nick and Carlene's love story. Honestly, from the beginning till the end I was intrigued. The story was so good but the problem was it was too short. Everything was happening so fast. There were parts where I wanted to read more about but it ended pretty quickly. However, I still learned a lot about Carlene that made like her character. It's funny because I didn't expect to relate to anyone's character but I did. As for Nick, I loved him from the start. I never really hate him for some particular reason. I never thought he was a bad guy or anything. I was a bit uncomfortable on how he acted with Carlene though. Their story was happening really fast. I don't think it was very realistic. But again, this is a fiction and anything can happen right? "...Melisa's heart fell deeper into the sea of his love"
Book 3 is about Melisa and Heat. I didn't expect to like their story more than the first two books. But I can tell that after reading this book, I liked it as much as Nick and Carlene's story. I wasn't a big fan of Melisa but in this book, I learned more about her and her past. It made me connect with her character. Afterwards, I pretty much understood what she was going through. I think she was a very strong woman because she was still living life after what happened with her husband and her baby. Like Nick, I loved Heat from the beginning. I don't know about the others who have read these books but the main male characters are so damn likable! I really recommend this series if you're looking for a quick read. It's a contemporary novel so if you want to just relax, these books are perfect for you. 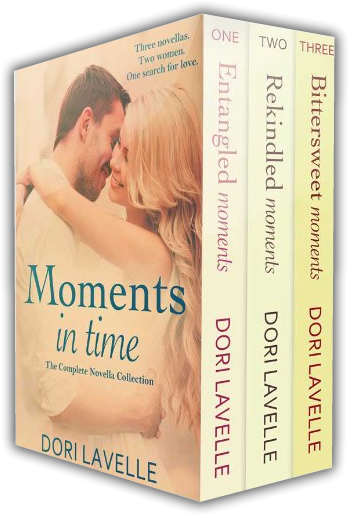 Also, check out other books by Dori Lavelle, she's an incredible author and she won't disappoint you. 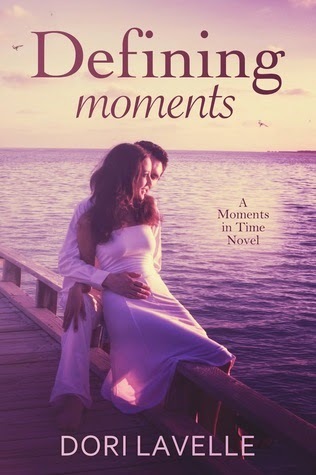 If you enjoyed Melisa and Heat's story, their story continues in Book 4 and it's called Defining Moments. The fourth book of the series is now available. Go visit the author's site for more information.